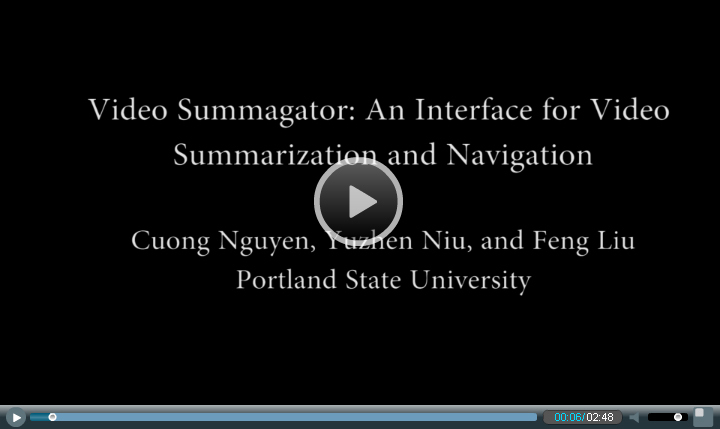 This paper presents Video Summagator (VS), a volume-based interface for video summarization and navigation. VS models a video as a space-time cube and visualizes the video cube using real-time volume rendering techniques. VS empowers a user to interactively manipulate the video cube. We show that VS can quickly summarize both the static and dynamic video content by visualizing the space-time information in 3D. We demonstrate that VS enables a user to quickly look into the video cube, understand the content, and navigate to the content of interest.